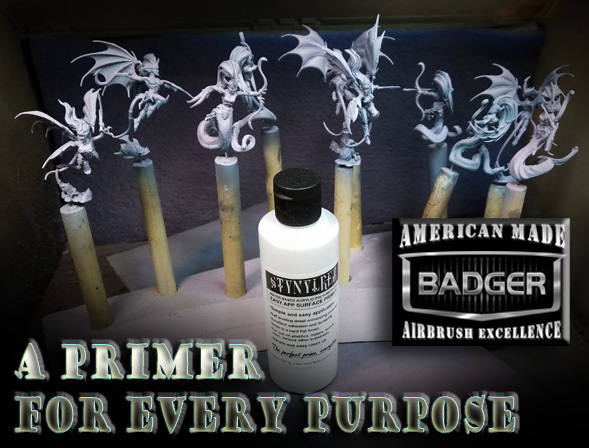 Here's a little glimpse at the process of "primer painting", using the Badger Airbrush Stynlrez primers. 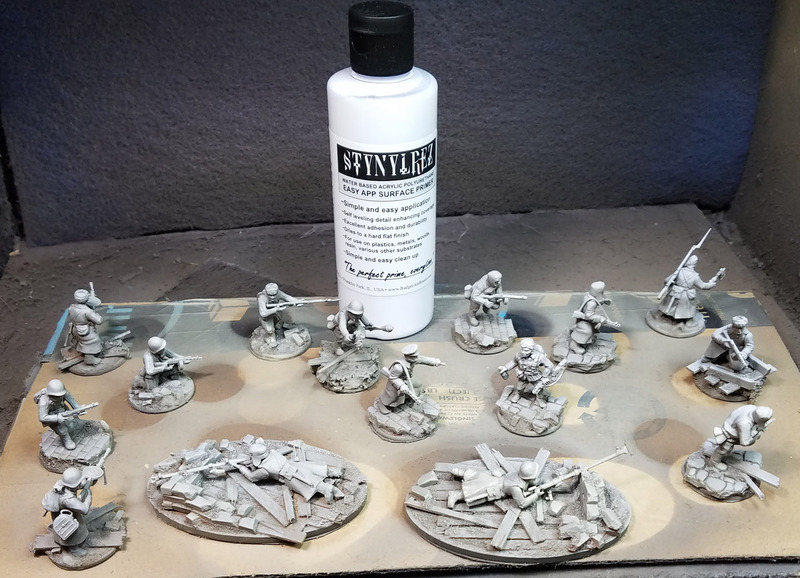 There are a dozen different colors, so it provides an excellent opportunity to shade and tint figures as you go through the usual process of priming. I usually have dozens and dozens of figures to prime all at once, of all types and sizes. 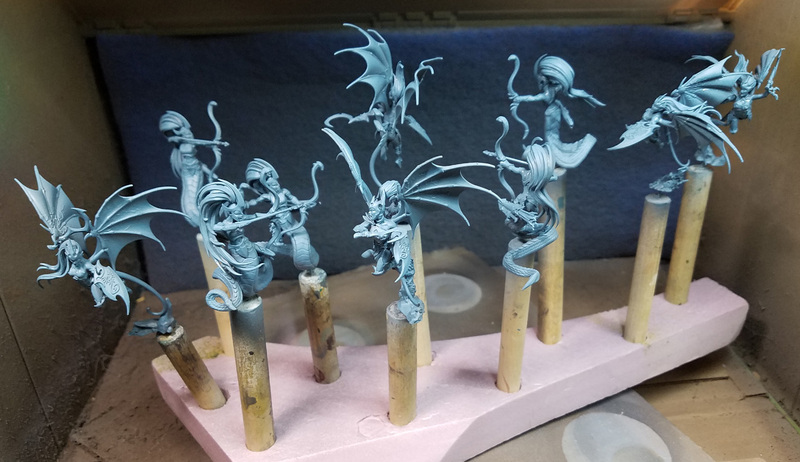 While there were a few other items that I was priming, I think this set of figures gives you an idea. 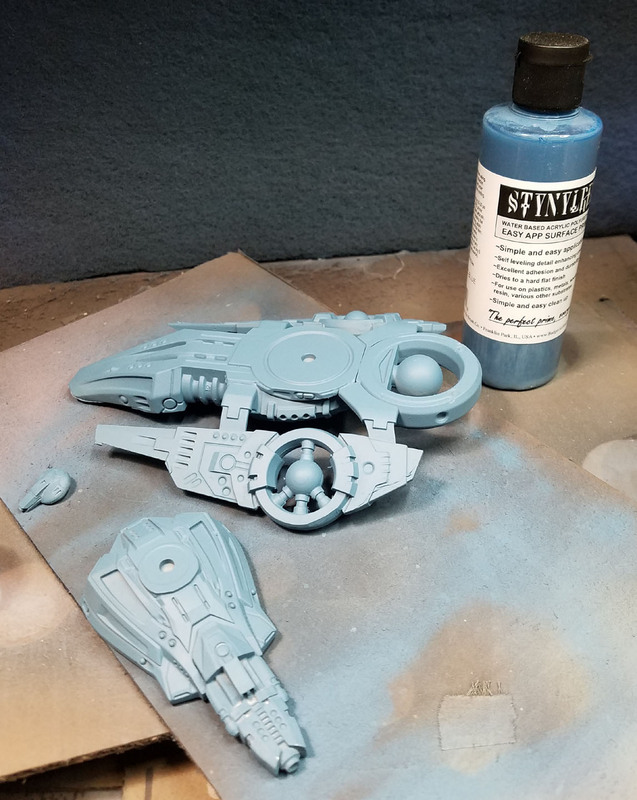 The slate blue primer is a neat color, which has been great for terrain and some sci-fi figures, like this Weapon platform skimmer from Warlord Games Gates of Antares. 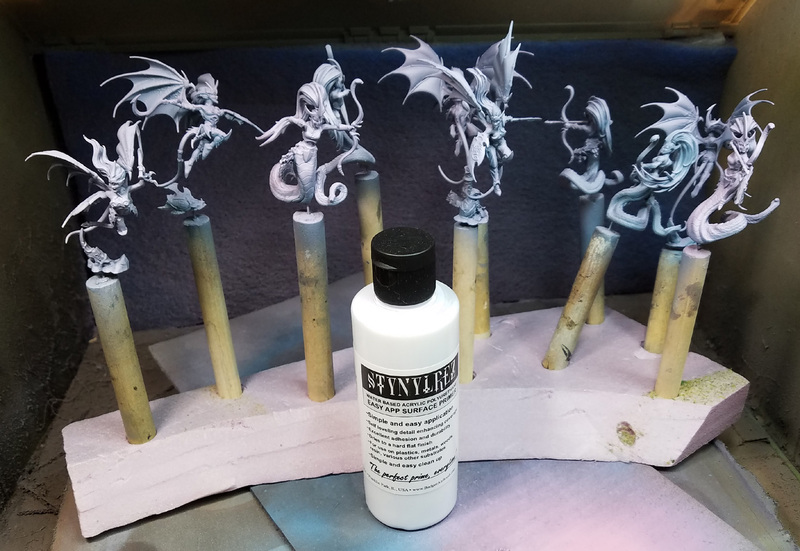 Since I already had that color in the airbrush, I made it my first layer for the two units of Dark Elf figures which is part of the unit painting videos I am creating for the Patreon subscribers. 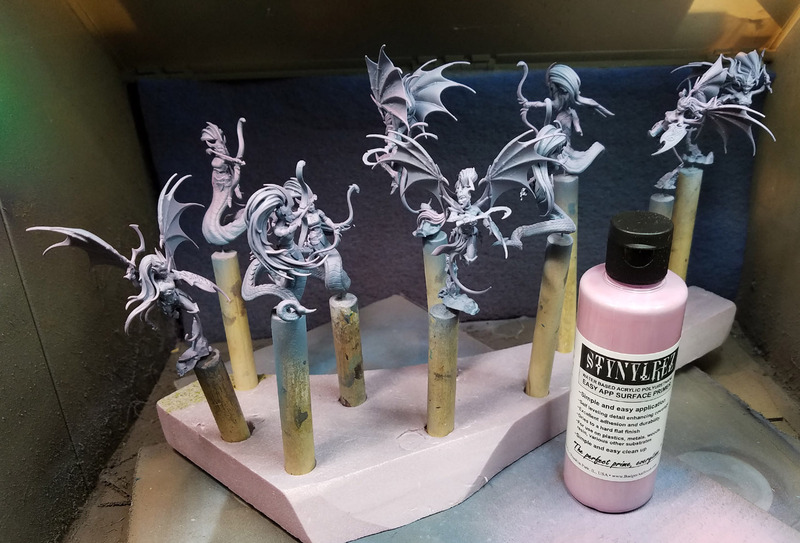 The pink primer is a color that I have not gotten to use very much, except for some of the Black Heart Models busts. Using the blue as a base and allowing as bit of the pink to mix in with it meant that I could gradually shift the overall color. Gradually introducing more and more of the pink will create lighter tones, setting up the next layer. 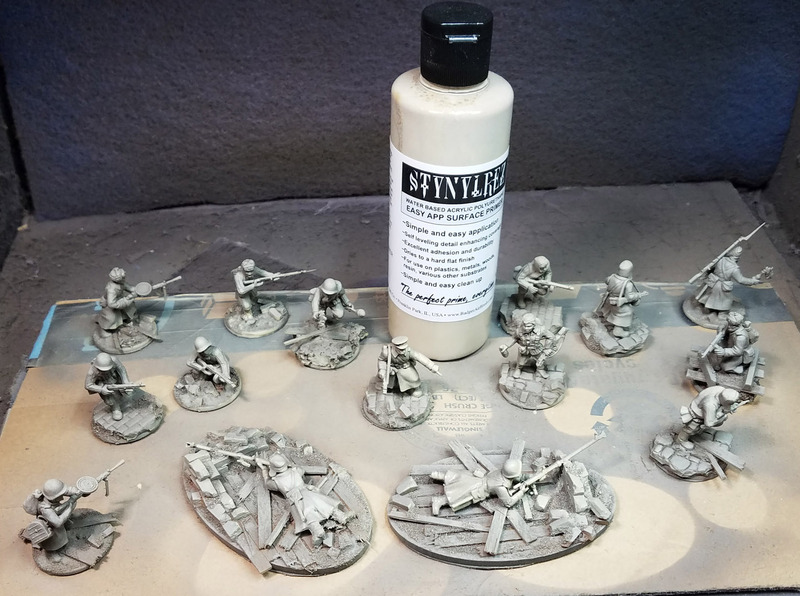 I didn't want to get too involved with the primer colors here, since these units will be painted with oils. Those are far less influenced by the underlying primer colors than the acrylic glazes that I normally use. The Ebony color is a favorite, and I use it on just about everything at a certain point! 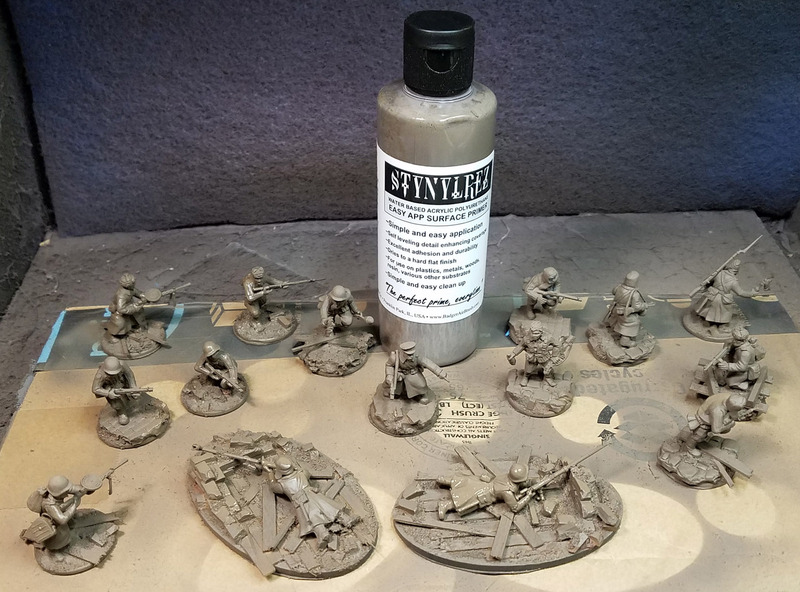 Using a light tan, I was able to create a Russian tan blend right out of the gate, using nothing more than 2 primer colors! I added one more layer of white to get the lightest shading. This batch of figures will be part of a new edited YouTube series on unit painting with oil paints. I will go through the process of painting the unit, as well as the snow effects that finish off the basing. As always, any contributions to the Patreon Page allow me to do even more of these instructional videos. Also, the new pledge levels will introduce "hard copy" versions of the videos, so you can view them whenever or wherever you want, at a higher resolution than the typical YouTube video.